Home / FILM POSTERS / TALK OF THE TOWN / ‘Nightcrawler’ a non horror movie scared Halloween box-office in US. ‘Nightcrawler’ a non horror movie scared Halloween box-office in US. As a non-horror movie, “Nightcrawler” thrilled audiences in the US Halloween box office. Garnering $10.91M in ticket sales, “Nightcrawler” managed to go head-to-head with horror film Ouija during the weekend when horror films are supposed to dominate. The movie first impressed critics during the Toronto Film festival. This positive response echoes in the great ratings and reviews when it premiered last October 31 in the US. 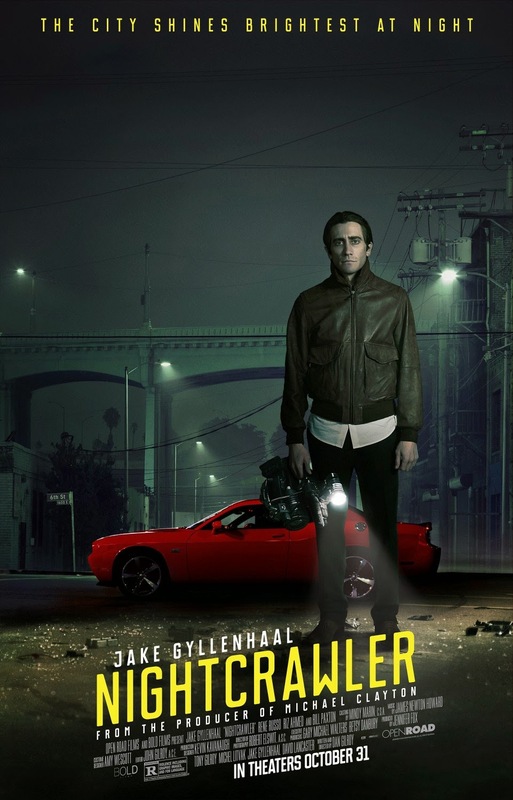 Nightcrawler’ is pulse-pounding thriller set in nocturnal underbelly of contemporary Los Angeles. Jake Gyllenhaal stars as Lou Bloom, a driven young man desperate for work who discover the high-speed world of L.A. crime journalism. Finding a group of freelance camera crews who film crashes, fires, murder and other mayhem, Lou muscles into the cut-throat, dangerous realm of nightcrawling- where each police siren wail equals a possible windfall and victims are converted into dollars and cents. Aided by Rene Russo as Nina, a veteran of the blood-sport that is local TV news, Lou blurs the line between observer and participant to become the stars of his own story. Written and directed by Dan Gilroy. Showing on Wednesday! November 12. Released and distributed by CAPTIVE CINEMA!